Dog valentine cards are perfect for the pet lover in your life. Valentine's Day plus an adorable puppy? It's a pretty irresistible combination. 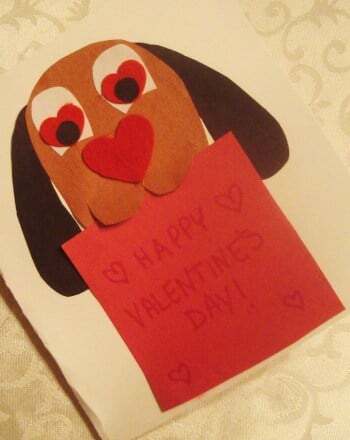 Help your child create a dog valentine card that brings these two sweet things together. Who will she want to give her dog valentine card to? Make a dog valentine card with your child this February. Have your child use scissors to cut an oval out of the brown construction paper. Let her cut two eye shapes from the white construction paper. Help her cut two ear shapes and two small circles (the pupils) from the black construction paper. She's almost done cutting! Have her cut two small circles, two small hearts and one square from the red construction paper. The last cutting task she needs to do is cut one large heart out of the red felt. That's it -- no more cutting. Now it's time to assemble her dog Valentine. Have her glue the two white eye shapes onto the brown oval. Then have her glue one small red heart onto each white eye shape. Let her glue a black circle on top of each small red heart. Help her glue the large red heart onto the brown oval. This step is all you! Carefully use a box cutter to make a curved mouth shape in the oval. Have your child glue on the black ears. Help her write “Happy Valentine's Day” on the red square. Glue the red square onto the dog's mouth with his mouth flaps loose over the top of the square. Help your child fold a white cardstock into a card shape. For the final touch, glue the dog onto the front of the card. 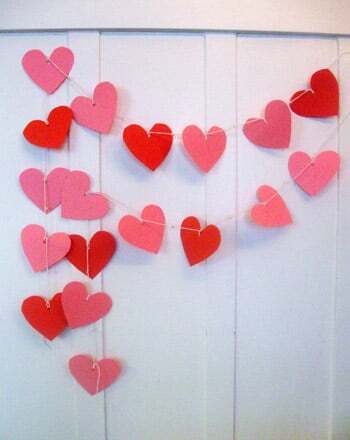 Let your child write her own special message on the inside of the Valentine's Day card! This color-your-own Valentine is fun and oh-so-cute! Valentine's Day card templates are a great tool for people who want to make homemade valentines quickly. Try these Valentine's Day card templates this February. The cattle dog isn't your average dog, and its back story is unusual too. Learn about these dogs and color in the picture.